I can't believe that it has been a month already since my last post - I always forget how short February is! So for anyone who read my last post, you will notice that my March garment has changed. We have a big conference coming up at work and my wardrobe doesn't contain many smart work clothes so I opted for Vogue 8667. I have made this before, (blogged about here) so decided that it would be an easy sew before I travel. This fabric was purchased from a stall in Brixton Market on a fabric shopping trip with my sewing group. The fabric only cost £3.30 per metre, so was an absolute bargain. It sewed up really well, but did fray a fair amount, despite finishing this a week ago I am still finding bits of the fabric around the whole flat! I opted for the a sheath style this time and went with view D. There was nothing hard about this, although I spent a fair amount on the fit. I cut a size 14 on the bodice added some length to the front bodice pieces, graded in to a size 12 under the bust and at the waist, and went back out to a size 16 at the hips. As a result, when I joined the the bodice to the skirt, none of the darts and seams matched, so I moved them in and re-sewed them on the skirt. I sewed a hand picked zipper on the back. I'm still not quite getting the hang of them. Maybe when I'm back from travels I will un-pick it and just sew a normal zip, although I'm so lazy that I doubt I will. I love the collar on this dress I think that it looks just as lovely from the back as it does from the front. 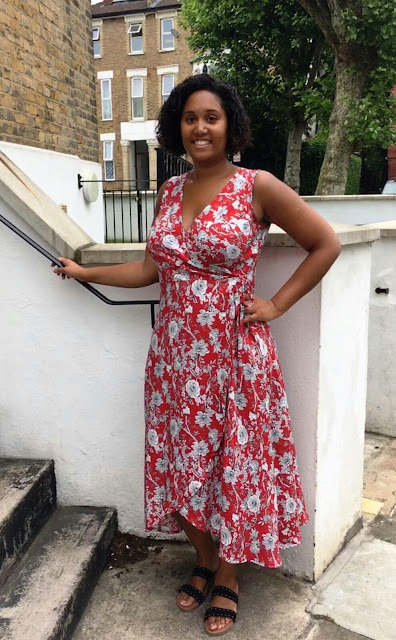 This photo also shows how my waist looks so tiny compared to my hips, this is part of the reason why I find it so hard to buy RTW smart dresses that fit properly. I am really pleased that I managed to finish this in time to wear during the upcoming conference. Work has been really full on and I generally can't sew when I am in that kind of headspace. However, working on this dress has actually been relaxing (probably because I have sewed it previously) and all of the hand sewing of the lining and the collar has been very therapeutic. I am also very pleased that I paid extra attention to the fit, and matching the seams. It was definitely worth it and it's nice to see that my sewing is really improving. You can see my review on Pattern Review here. When I am back from Asia I can't wait to crack on with some spring and summer sewing. It's about time! 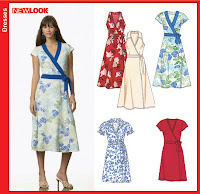 For my April garment I am going with another version of Butterick 4443. Do you have any spring/summer sewing plans? And can you sew when you are stressed? 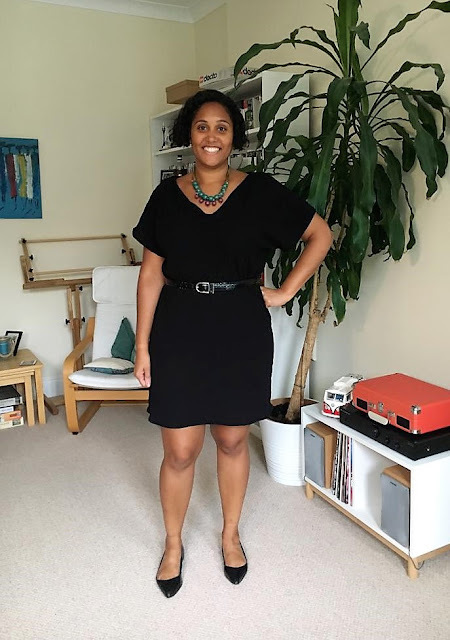 You are doing a good job and I really like Butterick 4443. I agree, you do need the right headspace for sewing. Like you, sometimes if work/study is too intense, I can't sew, but I do find a little is a good distraction and actually helps. The dress is lovely - and I love your comment about being too lazy to redo the zip :).